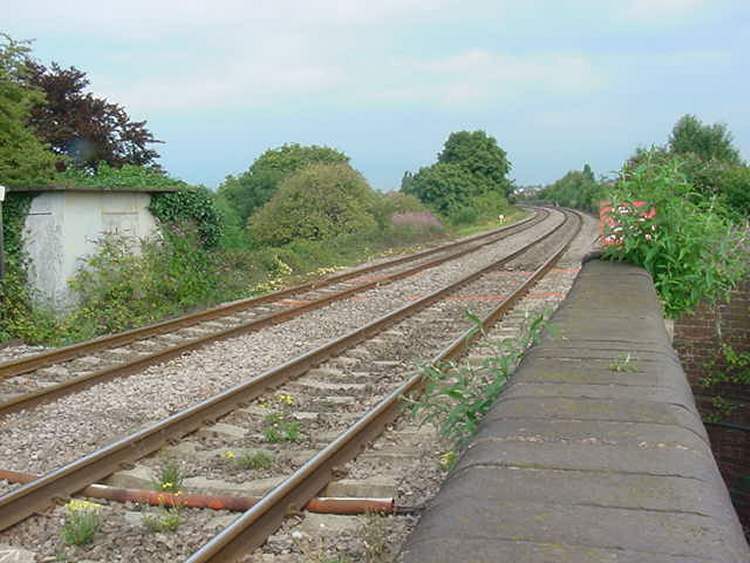 Henwick was the first station out of Worcester on the line to Malvern and Hereford. It was also served by trains on the Bromyard line. It closed on 3rd April 1965. 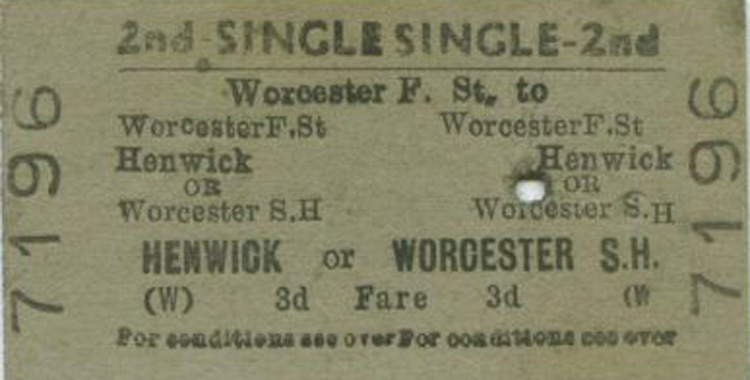 The railway ticket (above) was issued at Worcester Foregate Street Station and was for use on services to Henwick or in the other direction to Worcester Shrub Hill. 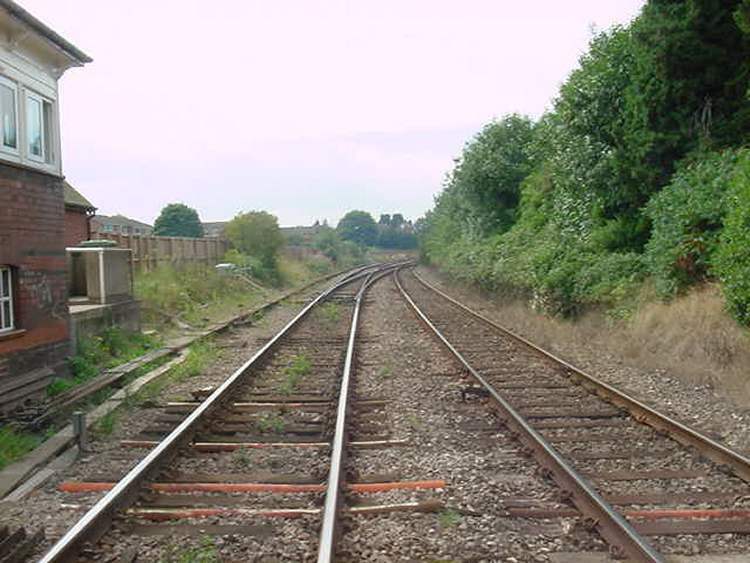 The site of the former station at Henwick. 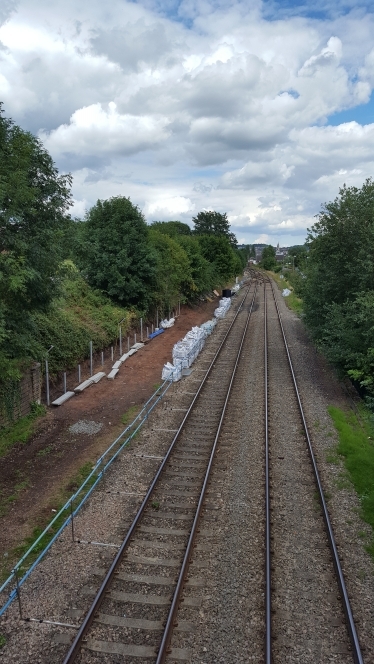 The crossover is relatively new permitting two way working through Worcester Foregate Street (see 1973 signalling schemeShrub Hill Station and London, whilst the other line goes to Birmingham. The signal box controls traffic on Henwick Road Level Crossing which is behind the photographer and the crossovers. The platforms were level with the bottom of the lower window on the signal box. 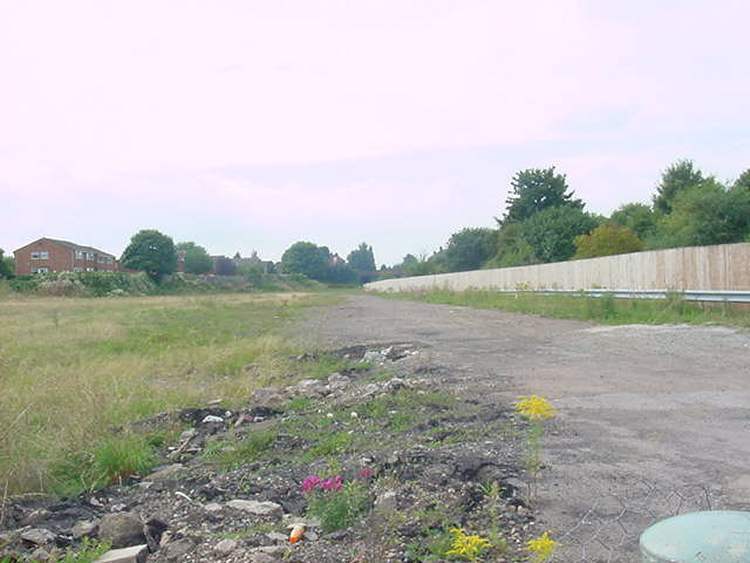 This is the site of the large goods yard which closed on 1st May 1968. The station was behind the fence on the right. The main items of goods traffic were coal for Worcester Power Station and landsale use and machinery & raw materials for the Mining Engineering Co Ltd (Meco). This is the view looking towards Worcester. Worcester Power Station was on the right hand side of the line. The photographs above were taken by Andrew Smith on 30th August 2001. In preparation for the introduction of class 800 Intercity Express trains in 2017 various changes to infrastructure were needed. 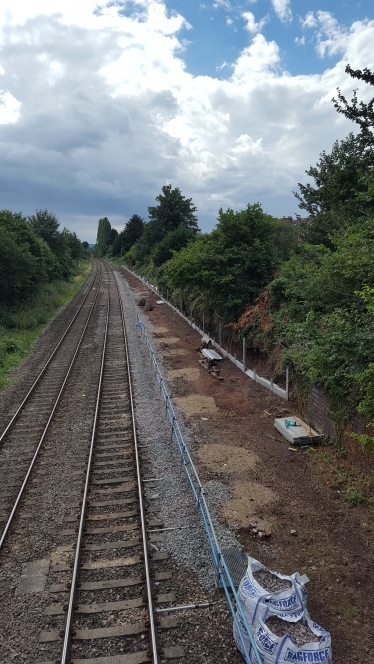 The photographs (above) were taken by Andrew Smith on Sunday 23rd July 2017 and show progress being made on reinstating and lengthening the long-disused 'up' siding at Henwick, prior to its use to turn back the new trains.